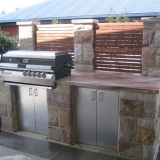 Outdoor kitchens are an extension of your home. 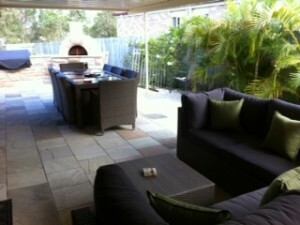 Create a complete living space where you can enjoy alfresco dining or entertain guests in stylish and comfortable surrounds. 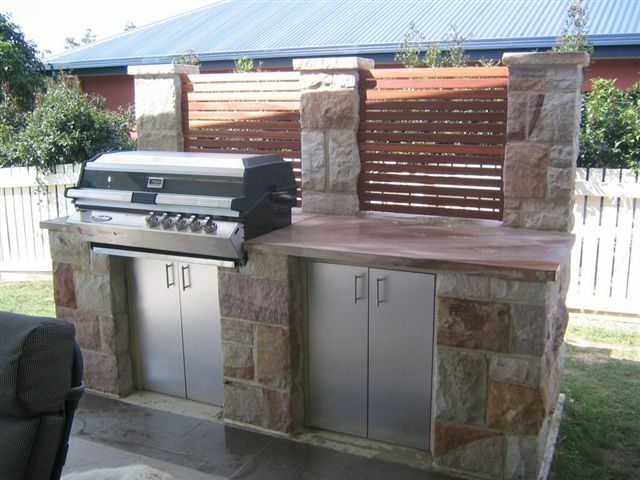 Taking ideas from luxury holiday destinations, an outdoor kitchen concept for homes may also be complete with a bar and a stone fireplace. 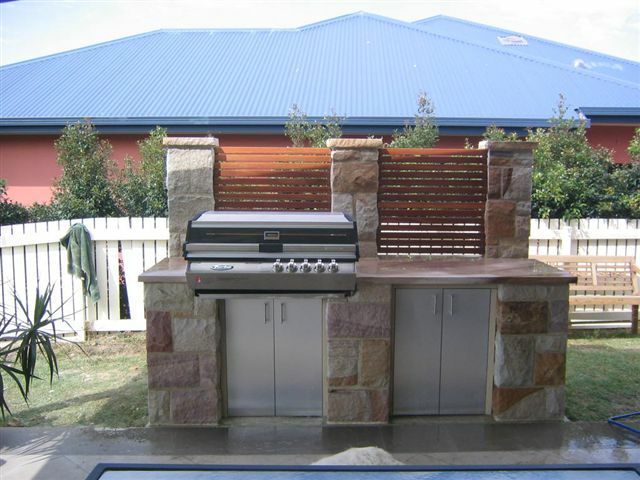 To complete an outdoor kitchen it can be equipped with BBQ grill, pergola, refrigeration unit, sink and instant hot water supply and a fully self contained outdoor living area. 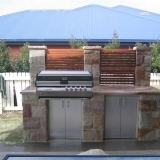 Depending on your choice and budget you can choose the best appliances, furniture and fittings, which are specifically designed for outdoor living. 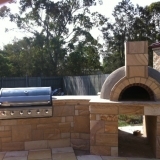 Enjoy the beautiful Queensland weather whilst cooking on your very own custom stone BBQ built by qualified stonemasons from MacDonald Masonry. 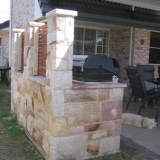 The beauty of having an outdoor kitchen in Brisbane that is made of stone is that it will handle the hard weather and climatic conditions that Brisbane often endures. 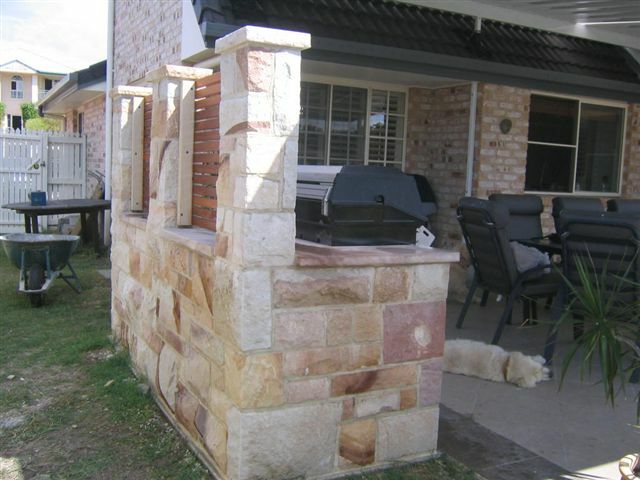 We will design your custom made outdoor kitchen/ living space to your specifications and specific needs. 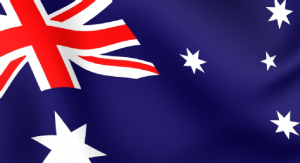 MacDonald Masonry uses only the highest quality materials sourced locally which supports the Australian economy. 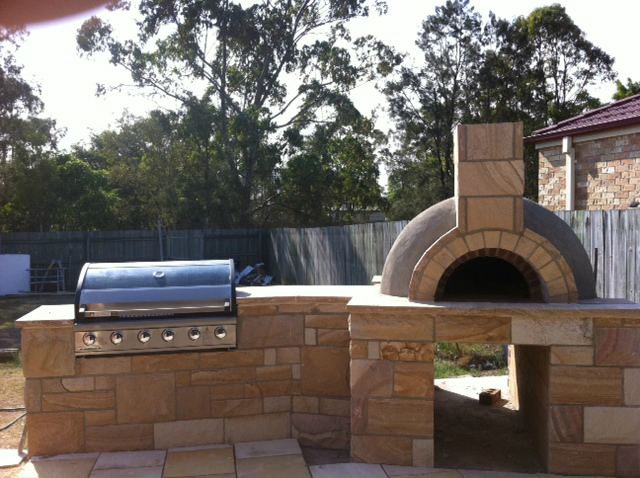 For more information on Outdoor Kitchens Brisbane call 0406 50 60 70 during business hours.